Lately I have seen some parents suggesting that their “Lighting it up Blue” is different – because they have their own kind of family meaning or tradition for it and do not associate it at all with Autism Speaks. Think about it… this dismissive disregard is identical to the stance that Autism Speaks takes when they exclude the voices and perspectives of Autistic adults. So saying things like, ‘We are all entitled to our opinions and this is simply a difference…’ or ‘I am doing this my way because _____’ is actually ignoring and, through this action, even silencing the voices of Autistic people. I have even seen some parents come into the space of an Autistic person, someone with lived experience – and when it has been explained that “Light it up Blue” and “Puzzle Pieces” and “Awareness” are offensive and even triggering, these same people have continued to defend their position. What if instead of insisting their right to their opinion – they leaned into the discomfort of perhaps being wrong. It would be interesting to see what would happen if they tried to understand the impact of negative rhetoric and how this is embodied in blue lights and puzzles as a metaphor for this hateful cure mentality. Because no matter what… these blue lights cannot be separated from Autism Speaks in the eyes of someone like my 16-year-old son… and no matter what a non Autistic person may think or feel about this… the perspective of the Autistic person should freakin’ trump it all. Autism Speaks markets the light bulbs, and they profit from them – just as they profit from saying my son is a tragedy that burdens his family and desperately needs to be cured of his neurology. Those blue lights are a huge advertizing campaign for Autism Speaks, and they are the embodiment of fear and stigma, wrapped in the hateful blue cloak of awareness. They are disheartening to see… a beacon of shining blue that proclaims to Autistic people – we are aware of you and you are not enough… you need to be fixed… but your humanity is so lacking we won’t even include you in the conversation. This is not about me – or other parents… it is simply about listening and being responsive to what Autistic people are saying about what is best for them. Perhaps I can consider it like this… if someone in another culture told me something I was doing was offensive to them – I would stop. I would not try to justify my position; this is pretty much the same situation. I listen to Autistic adults because they are living the experience of being Autistic, and they have understanding and insights that are far more useful than any book or program I have seen created by one of my professional colleagues. I listen to Autistic adults because they are the best guides for me in supporting my actions with my son and in helping him to grow up into a proud and well-adjusted Autistic man. I listen to and then amplify the voices and perspectives of Autistic people to support the roar of their disdain, not just because it is the right thing to do… but because this is how we will create the world as it should be. This entry was posted in ableism, acceptance, Autism, Autistic, being wrong, Boycott Autism Speaks and tagged #LIUB, Autism Speaks, blue lights, Light it up Blue. Bookmark the permalink. I like the ideas, of Autistic Man (albeit, I’m paraphrasing your usage, and we would have to adjust the gender specificity), and of creating the world-as-it-should-be (so as to respect and accommodate and give place to Autistic Man). I fairly constantly find myself on the brink of exhaustion and situational-defeat/disenfranchisement, when striving to persuade others (professional colleagues) to the autistic respecting and hearing approach you favour. Reflection on such repeated outcomes, increases my respect for any and every autistic adult who has weathered this perverse circumstance, and has wisdom to share with others about that circumstance. All this makes me wonder how far back we have to step, firstly to scope and map the circumstance in its entirety, and secondly to have a world-creating paradigm that might see that circumstance displaced and transcended. Somehow Autistic Man captures something of that required stepping back, suggesting as it does how deep must be the change we require. Makes me think of Emma’s “seeds there” ( http://emmashopebook.com/ ): our experiencing and reflecting, coming to something which reflects and grasps our actual circumstance; something we might just be able to make use of. Very much appreciated. I don’t know why this is so hard for many people to understand, but as long as it is, your voice and the voices of our other allies are crucial in addressing the issues. Adding you to my blogroll. I swear, it’s mostly Americans, but at this point I think most of Western society on some level never quite progressed beyond eight year old levels of understanding and argument. You see it with antivaxxers, too. “It’s MY choice.” “I’m free to do this.” Freedom isn’t anarchy, and just because you do something doesn’t mean that others don’t have the right to call you an a%^hole. You’re (general you) free to Light It Up Blue. I am then free to conclude that you don’t give a rat’s behind about the experiences and wisdom of autistic people. These people can’t have it both ways – and I’d hope that most, say, third graders would grasp that principle. Yes, this, ALL of this!! This is why i’ve been culling my Facebook friends list. 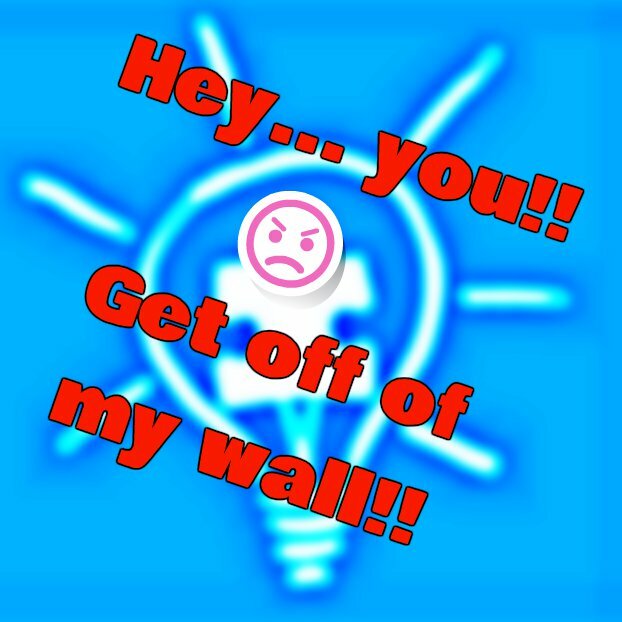 Because …..blue lights greatly offend me!! They are there to say i have no voice and that i am wrong, less than. Get the blue lights away from me!!! I agree. Autism Speaks is horrible. My daughter is Autistic. She does not like person first language. She does not like “Light It Up Blue”. She does not like the puzzle piece. And she HATES Autism Speaks (Yeah, so do I). I support her in all of this. While many of the families I deal with (both personally, friends with Autistic children and also in my work in Early childhood Special Education), “light it up blue” and post all the Autism Awareness stuff you see in April, I support her wishes. 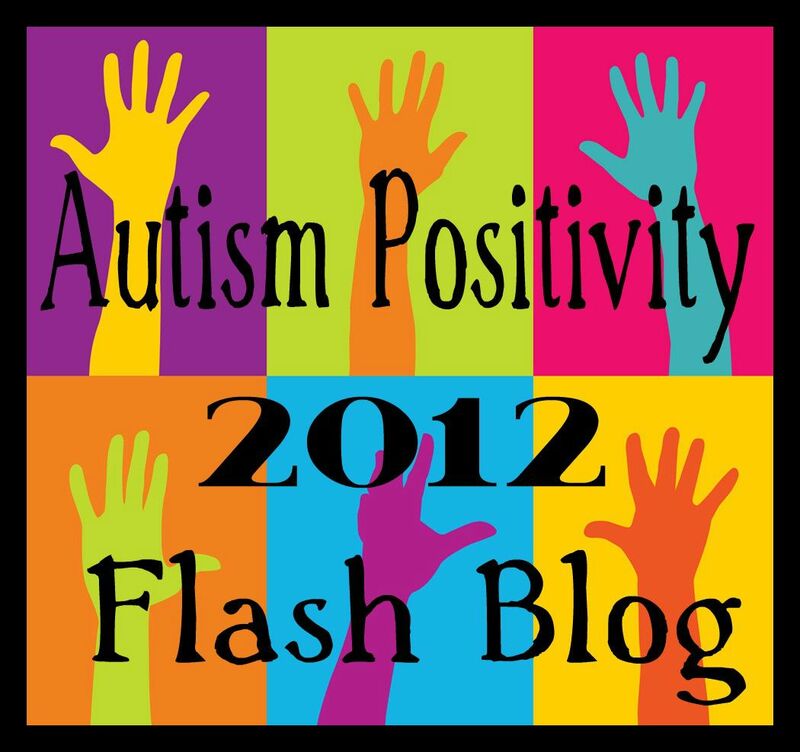 And I let it be known that I won’t be “lighting it up blue” because my Autistic daughter finds it offensive. As an autistic man, I couldn’t have said it better than this. Whenever I try to research this kind of thing, I get bogged down in the detail (~hollow laughter~), and end up being unable to defend myself or the autistic community when confronted with a blue-bulb-waving “person of ignorance”. Can you help?!! I share your perspective and I assure you that I did not light anything up blue. Not this year, nor last, nor years before. I agree wholeheartedly that those of us who are not on the spectrum must listen to those who are and let them take the lead whenever possible. 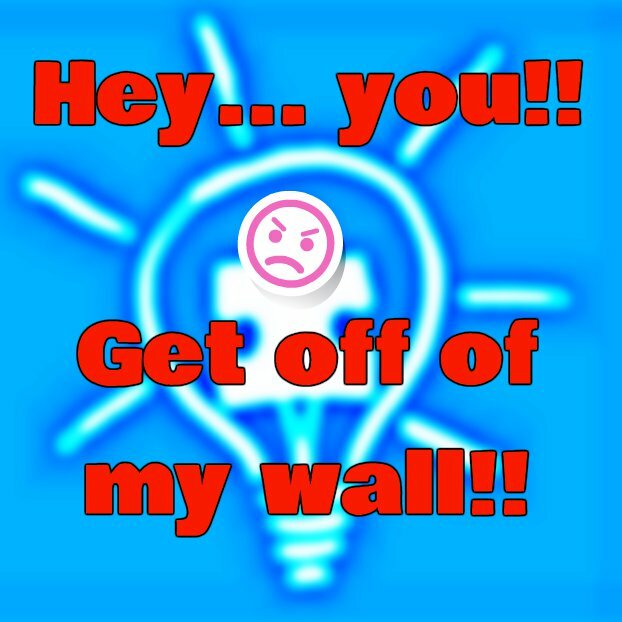 I even agree that people should not put such things up on other people’s walls and that those posts should be taken down upon request or otherwise blocked (something that seemed suggested by your title). Lighting it up blue, however misguided it is, doesn’t silence the voice of Autistic people. It is the expression of one opinion–again, however misguided. It is the nature of freedom of speech that each one has the opportunity to share theirs. It is the nature of freedom of association that the majority ends up with a louder voice (when they choose to use it) than the minority. Change comes not by trying to silence the other–in this case, the people who light it up blue–but to share your own perspective, which you do admirably up to the point that you overstate your case, and change the minds and hearts of those who are acting hurtfully towards others. “I am doing this my way because” the light of compassion and empathy hasn’t come on inside me. “I am doing this my way because” I honestly believe I’m doing more good than harm. “I am doing this my way because” it’s something people recognize and I think they might pay attention to what my family is going through if I do. Them doing it their way doesn’t silence Autistics or our allies. What silences us all is when we are so busy “shouting” at each other that we all miss the point. What I do when I hear “I am doing this my way because…” is to say “I don’t because…” And, more often than not, they say, “Oh,” in a small voice and, just occasionally, they follow that with “I didn’t know that. That makes sense.” And change happens. Because, the point is that all this attention gives those of us who have had the lights come in our hearts the opportunity to teach others something they haven’t figured out yet. And, yes, sure, there are those who’ve heard it all and are nonetheless adamantly opposed to neurodiversity in any shape or form. But the vast majority of people still don’t know what it means, let alone what it means to people with autism and other neurological differences. And they never will if they’re not given the space and freedom to be wrong without being verbally bashed over the head with their wrongness. It’s human nature to defend oneself when attacked. A friendly whisper is a lot more effective. Yes, it does. It is another voice, however tacit, that our oppression is acceptable. I tell people once politely. If they refuse, all bets are off, because they clearly do not think I am human – they do not accept that I have the same rights as they do, despite my neurology. If someone is new to autism politics, better they identify themselves as such, because otherwise, a community such as ours that has been victimized and discriminated against is going to see them as suspicious. If someone is not new to autism politics, if someone will not listen to autistic voices about their own lived experiences, they are not an ally, and if they persist in supporting a group that actively campaigns for no more autistic people, they are a dangerous enemy. For stating such things, I have been attacked, insulted, physically threatened, gaslit, and so on. And yet I’m continually told to “be nice” and “have patience.” I know you are not advising such things, but regardless, I refuse. Been too busy with obligations and too upset to do much writing though, so I still haven’t finished it. Curious to see what they will say this year, considering Steve Silberman is going to be a keynote speaker. Thank you for sharing your thoughts with us all. I am deeply interested in this topic and will continue to read more about how our words and actions help or hurt others. It is easy to go about our business unaware that we may be contributing to something in a negative manner. I bought a blue lantern years ago when I was ignorant of the culture of Autism Speaks. I love the lantern, it is very useful in the white light setting, and it was cheap. But I don’t put it on the blue setting and hang it up anymore. My son doesn’t need to be cured. He isn’t a puzzle that needs to be figured out. He is just a great kid with a bright future ahead of him who happens to have a disability. That’s it. I never, ever want him to look back on his childhood and think for one minute that I wanted him to be something else than who he is. This is so clearly and concisely written I couldn’t wait to share it with some parent groups I am on…it’s just incredible to me that some parents persist to ‘defend’ the indefensible. After trying every angle to make one mom see that she is making all of this about her and refusing to stop offering all the reasons why her way is correct– damn frustrating. No matter how logical and correct the truth is some people just don’t want to hear it…I feel so bad for her child. Anyway, much thanks for writing this, most everyone I shared it with found it so illuminating.